This was one of my wife’s inventions, the Madeira and mushroom sauce is hands down the best steak sauce I’ve had. We discovered the inventive smash burger technique this year. Okay so I’m cheating a little here as we created umami smash burgers and pork and chorizo smash burgers, but it’s just impossible to choose between them. Even the cats loved them equally. This post went viral in the late summer. The Over The Top Chili recipe had more hits that the homepage, and accounted for 20% of all traffic to the blog this year. And it was only published in August. I cooked this for a going away party for a good friend, everyone there loved it. How an ingredient change can make something so much better, the wild garlic leaf pesto sauce is incredibly versatile. We’ve used it in many dishes throughout the year. A superb combination of flavours led the seared pork and chorizo with sweetcorn puree to be our favourite overall meal recipe this year. I still remember the day our local supermarket stopped selling smoked Wensleydale. And also thinking “hey, I’ve got a smoker at home, maybe I can smoke my own cheese.” Turns out that I could, and it tasted so good. I gave some smoked cheese to a friend at work for Christmas, she devoured it. Also known as reverse twice-seared rib-eye steak, the bone marrow glaze technique is easily the best steak innovation of the year. One of my first eye-opening moments was the chef Gareth Webster explaining how simple it was to make scotch eggs. The smoked scotch egg recipe is (probably) the end of a fun and exciting journey, unless I find anything new to try. I started out this journey in cooking with bread, and the Crusty Artisan Bread post is the pinnacle of personal achievement in this area (combined with the Inverted Dutch Oven Bread technique). It was also the second most popular recipe post, after Over The Top Chili. Thanks for reading, thanks for visiting, a big thanks to everyone who has made these recipes and the feedback you’ve given. As always, if you’d like help with anything, or want to discuss anything on the site, please contact us. And here’s to a great 2018! 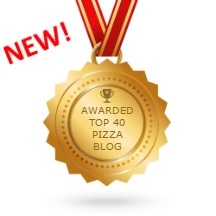 It has certainly been a mouth watering year for the blog. I am looking forward to following you through 2018! Thanks Matt! Good luck with your cooking in the new flat in 2018. Highlight of my Friday morning is seeing the new recipe drop in to the Inbox. Cheers Ed, and hope you have a great 2018 as well!